Genetics and hormonal changes are big factors in acne, but research is ongoing to find other connections. (CNN) -- Kelly, 22, has suffered from depression since age 8. But it's only recently that she realized how much worse she feels when her acne flares up. During the two years in college when her depression waned, so did her skin problems. "When I was free of the depression, I was feeling completely confident and able to make use of all of the opportunities, and much more able to present myself and meet people," said Kelly, who asked that her last name not be used. "And, of course, also with the acne clearing up, I didn't worry about people seeing me and judging me based on acne." The connection between acne and depression has long been documented, especially in teens, but some attributed it to particular medications for acne such as isotretinoin (sold as Accutane, Clarus and others). But a recent study in the British Medical Journal found that the drug itself may not matter; according to Swedish researchers, acne itself raises the risk of depression and suicide attempt. That may be because appearance is intimately linked with self-esteem, doctors say. "Your skin is what you present to the world, and unfortunately we all aim for that airbrushed perfection that's on the covers of the magazines," said Dr. Diane Walder, clinical assistant professor of dermatology at the University of Miami. Finding a caring dermatologist to guide you through acne is key to both getting clearer skin and feeling better about yourself, said Dr. Jessica Krant, a dermatologist based in New York. A proper treatment plan from a dermatologist can clear up a person's skin, which in turn may resolve depression symptoms, said Dr. Sherrif Ibrahim, chief medical editor of skinsight.com. In teenagers, self-esteem may take a particular dive with acne because others may be making fun of them, and their anxiety about others' perceptions of them can result in depression, said Bobbie McDonald, a psychologist in Costa Mesa, California. In fact, anything that makes teens stand out makes them see themselves in a negative light, she said. Some of the low mood and anxiety symptoms may go away after high school graduation, she said. "Even if the acne remains, we'll see a shift when they finish high school because whether they go to college or get a job, they start to redefine themselves in ways that boost their self-esteem," she said. Depression may also worsen acne, because depressed people's motivation to take care of themselves and do their doctor's recommended skin routine is lower, Krant said. Stress in general can also exacerbate acne, but not cause it, Ibrahim said. 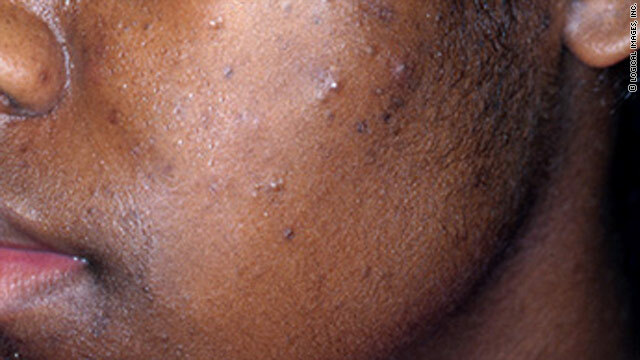 Any parent of an adolescent with acne should be on high alert, McDonald said. Start asking questions like, "How are you doing?" and, "What's going on with you and your friends?" to get your teen to open up about possible issues. It's also important to point out the teens' positive qualities to them, McDonald said. Some teens need reinforcement about their appearance specifically, such as their eyes or hair. But their inner traits should also be emphasized. "What makes them valuable and worthy as a person?" she said. "If they're a good listener to their friends, or a leader in different ways, or if they have some sort of talent." For Kelly, the acne started at age 11 or 12. She didn't feel too upset about it at first, because several of her classmates had it much worse. But as the years went by, her peers' faces started clearing up, while hers remained the same. This summer, after graduating from college and starting her first real job, she found herself back in the throes of depression -- and with it, the the daily skin breakouts returned. Kelly has been working with a therapist and plans to see a psychiatrist about her depression. No face wash or other skin treatment she's tried seems to cure her acne, but she hasn't given up. "I'm also hopeful that if the change in depression medication helps, that maybe I'll see a correlating change with reduced stress levels [that] maybe reduce acne as well."